The holidays bring with them extra helpings of sweets. 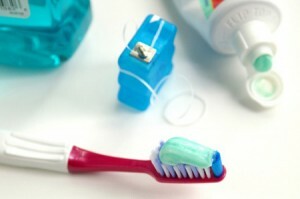 So, it is a good time to review your child’s oral hygiene routine. Unfortunately, tooth decay affects 50 percent of first-graders and 80 percent of 17-year-olds. The National Institute of Dental & Craniofacial Research estimates that children will miss 52 million hours of school each year due to oral health problems and about 12.5 million days of restricted activity every year from dental symptoms. Because oral problems cause such a significant loss in children’s academic performance, the Surgeon General has made children’s oral health a priority.